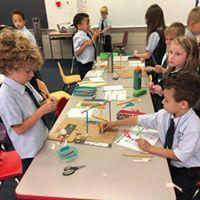 Second grade students have many opportunities to learn in different ways throughout the day. They practice skills in small groups, individually, and whole group. 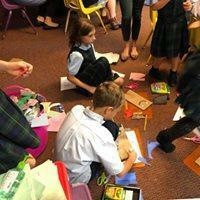 Language Arts time includes working on reading and writing skills in fun and varied ways. Writer’s Workshop allows children to take pieces of writing through the publishing process, and take pride in their written words. Social Studies and Science are exciting opportunities to explore the world around us through books, technology, discussion, and hands-on experiments. Religion is integrated throughout our entire day, as well as during specific focus times each day. Second graders attend physical education, art, computers, library, and Spanish classes each week. 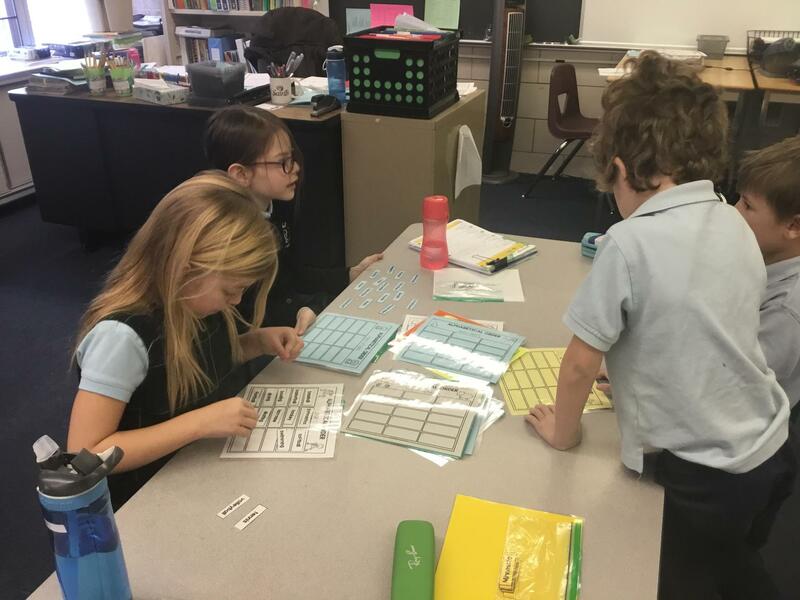 What is new in 2nd grade? In math, we work with numbers in the thousands place. We add and subtract numbers and learn how to regroup. We are more independent workers. We have an assignment book we use daily. We read chapter books, write book reports and complex stories. We become more responsible. 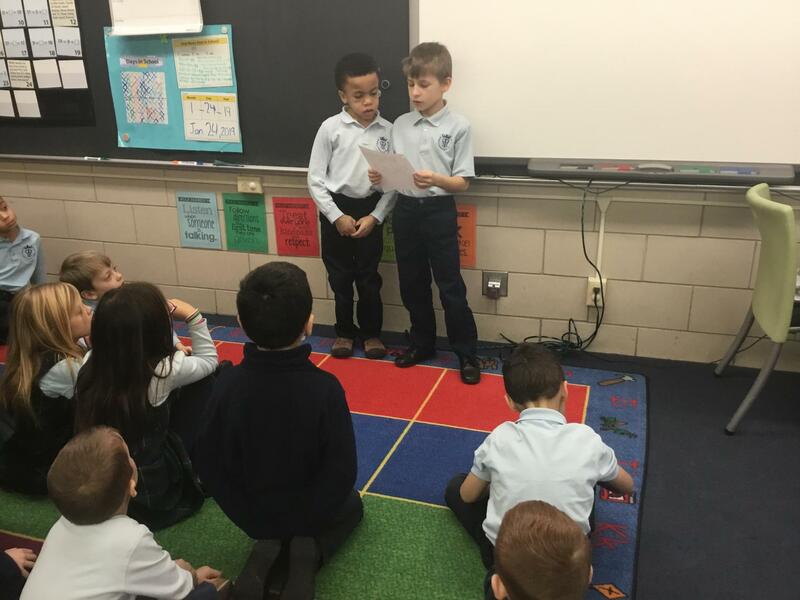 We make our First Reconciliation and First Communion. 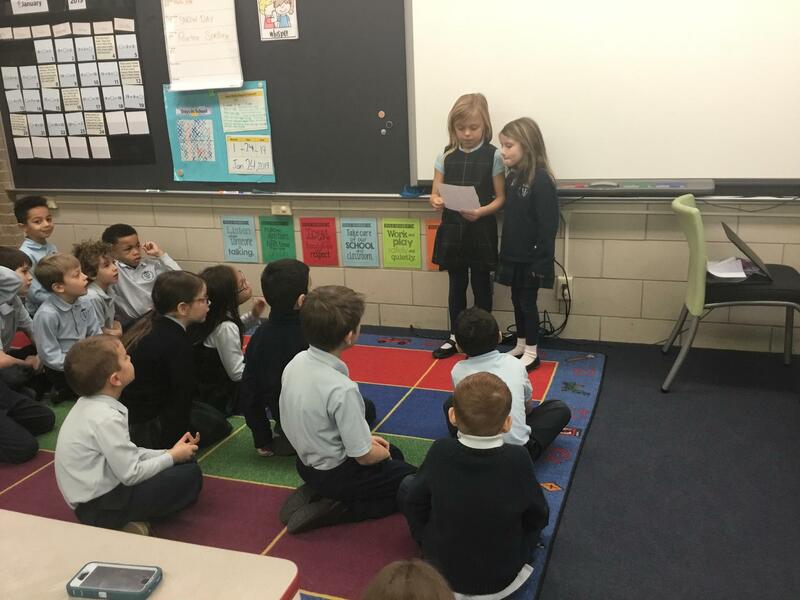 Second grade is the first time students may join Drama Club.